Wouldn’t it be nice for once to find something that you take pleasure from eating or drinking that also helps you to have flawless, glowing skin? It almost sounds too good to be true, right? Recent years have seen a resurgence in interest in natural beauty treatments. One of the natural products that has come in for a lot of publicity is green tea. Green tea is often referred to as ‘liquid jade’ because of its beautiful color. It’s also because it has powerful benefits for your skin and general health. Because of its ability to detoxify the body and and prevent the visible signs of aging on the skin, it has been used as a beauty remedy for many centuries. 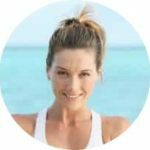 In this article I’ll show you the many benefits of green tea for skin, and show you how you can start using it in your skincare routine today. 5 How Safe Is Green Tea? 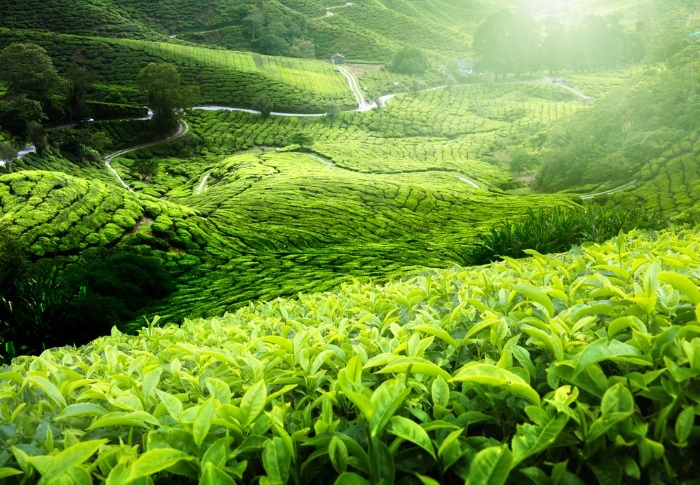 Originating in China, tea has been grown for thousands of years (1), and today tea is second only to water as the most consumed drink in the world. Hundreds of millions of people around the world drink tea, and scientific studies have shown that green tea in particular has a number of benefits for your health. Green tea is produced from the leaves of the Camellia sinensis plant. In contrast to black and oolong tea in which the leaves are fermented, green tea leaves are steamed which helps to prevent important antioxidants, called polyphenolic catechins, from oxidizing and losing their properties. The health benefits in green tea are largely attributed to the antioxidants it contains. Antioxidants are substances that protect you from the damage caused by free radicals. These free radicals are produced naturally in your body during the metabolic process, and are also introduced to your skin by exposure to ultraviolet light from the sun, and other environmental pollutants. They are highly reactive molecules that cause damage to DNA and cellular structures. In the skin, this damage accumulates and is eventually visible as lines and wrinkles. Free radical damage in your body is considered to be one of the main causes of aging and the health problems that develop as you grow old. 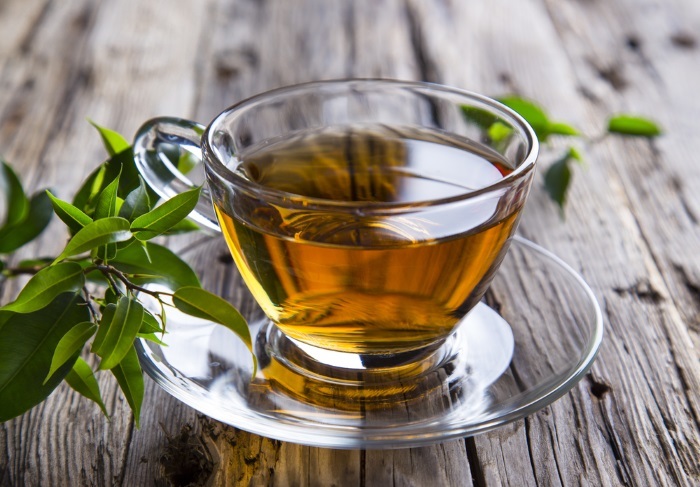 Six different types of polyphenolic catechins exist in green tea, of which the most active is epigallocatechin gallate, also called EGCG (2). These compounds are capable of neutralizing the harmful free radicals and limiting the damage that they can cause. The antioxidant properties of the polyphenols in green tea are considered to be even stronger than vitamin C.
Green tea has a number of benefits for the skin. It can be taken as a supplement, or consumed as a drink, but the greatest benefits occur when it’s applied topically. These days it can be found in a variety of skin care products including green tea moisturizers, cleansers, ointments, and creams. Let’s take a look at what it can do. Because of the antioxidant properties of its polyphenols which prevent free radical damage, green tea can prevent the formation of lines and wrinkles on your skin. In particular, it can help to protect your skin from the damage that is caused by the sun’s ultraviolet rays. Scientific studies have shown that green tea can protect against UVB radiation. In one study using a topical green tea preparation on human volunteers it was shown that UVB associated damage was significantly reduced after exposure (3). In addition to preventing the free radical damage to DNA that is responsible for the formation of skin cancer, green tea has other ways of protecting you from its development. It does this by its ability to inhibit the growth of tumors and kill cancer cells (4). It can also activate biological pathways that repair the damaged DNA. (5). Because of its antioxidant properties and ability to protect against photodamage, green tea can be used as part of a natural sunscreen. When applied to the skin regularly over a period of weeks it shows significant photoprotective effects (6). It can be found in many natural sunscreen preparations that can be bought online, and you can also use it as a key ingredient in your own DIY sunblock. Topical green tea extracts can be applied directly to sunburnt skin after sun exposure and can still have a beneficial effect. Its anti-inflammatory properties soothe the burnt skin, while its antioxidant properties prevent the further damage that free radicals can continue to cause for several hours after sun exposure. The polyphenolic catechins that are found in green tea can act as an antibacterial that can kill acne-causing bacteria. They can also soothe the painful spots by reducing the inflammation that is associated with this skin disorder. Excessive sebum production is a factor that contributes to the formation of acne, and studies have shown that EGCG can reduce the levels of sebum production by the skin (7). If you’re struggling with the irritation and redness that is a feature of psoriasis, then topical green tea can help to alleviate your symptoms. Scientific research indicates that treatment with green tea can slow down the overproduction of skin cells that is the root cause of the problem (8). Most people with rosacea are looking for a way to reduce the redness of the skin that affects their appearance. Studies have shown that topical green tea extract can reduce the inflammatory lesions that are associated with the condition (9). The use of green tea extracts has been shown in studies to create a significant improvement in atopic dermatitis (10). This is due to the anti-inflammatory properties of the green tea catechins. It’s now considered to be a safe and effective treatment for people suffering from this skin complaint. If you’re one of the many people who suffer from red, sore skin after shaving, then consider green tea for immediate relief. Applied topically to your razor burn it can soothe the burning sensation and will enhance the healing of any nicks or cuts (11). It’s nice to relax outside, but unfortunately insect bites can be an unavoidable hazard. If you have some itchy bumps on your skin from insect bites, then topical green tea applied to the skin will help to soothe and take the inflammation away. Green tea bags can be used to make an effective home remedy for reducing puffy eyes and dark under eye circles. When the cool tea bags are left to cover the eyes for a short time, the caffeine and tannins in the tea constrict the blood capillaries under the surface of the skin, reducing swelling and lightening the dark areas. Using this green tea toner can cleanse your skin and provide the antioxidant benefits that green tea is well known for. This is great for your complexion. 1. Open a green tea bag and place the tea in a cup. 2. Boil a kettle of water. 4. Allow the tea to steep until it has cooled with occasional stirring. 5. Pour the tea into a clean container with a lid. 6. 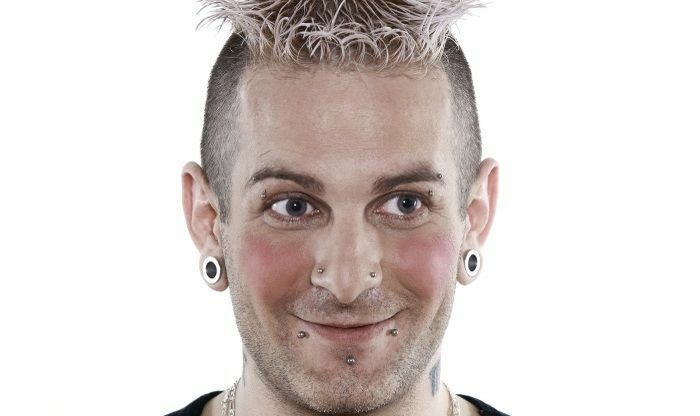 Dip a cotton ball into the tea and use it to apply it to your face. 7. Keep the container containing the green tea toner in a fridge with its lid on when not in use. Green tea can be combined with other ingredients to make a face scrub that will exfoliate the dead skin from your face. 1. Take a green tea bag and allow to steep in half a cup of boiling water. 3. Pour 1 cup of granulated sugar into a bowl and mix with 2 tablespoons of olive oil. 4. Take another unused green tea bag, open it, and mix the leaves with the sugar and olive oil. 5. Add the brewed tea to the mixture and mix together well. 6. Wash your face and then apply the scrub with your fingers, gently massaging it into the skin. 7. When not using the scrub keep it in a sealed container in the fridge. 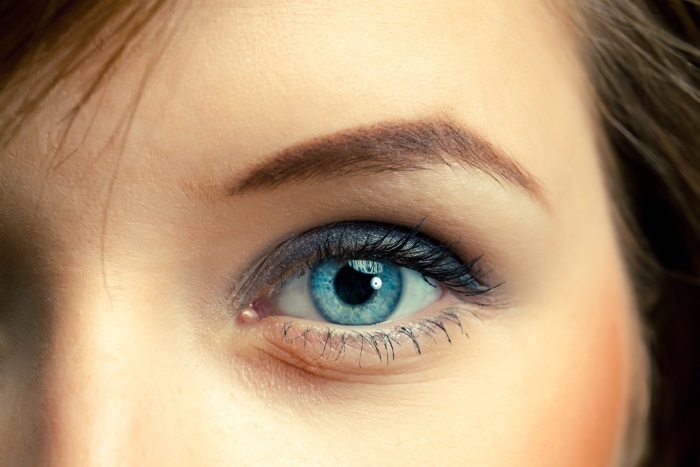 To reduce puffy eyes and dark under eye circles try this simple home remedy. 1. Take 2 green tea bags and place them in a cup. 2. Add boiling water and allow to steep for 10 minutes. 3. Remove the tea bags from the cup and place them in a clean bowl. 4. Put the bowl containing the tea bags in the fridge and cool them for 30 minutes. 5. Sit back or lie down and place the cold tea bags over your eyelids for 15 minutes. 6. Repeat each day for best results. Use this steam facial to really open and clean your pores, and treat oily skin. 1. Take 5 cups of boiled water and pour them into a large bowl. 2. Add 5 teaspoons of green tea leaves. 3. Cover the bowl and allow the tea to steep for 5 minutes. 4. Wash your face and pat dry. 5. Place your head over the bowl and cover with a towel to trap the steam for 10 minutes. Regular drinking or topical use of green tea is very safe for most healthy people (12). But, it does contain active ingredients that can have interactions with some medications. Check with your doctor first before using green tea or adding it to your diet. 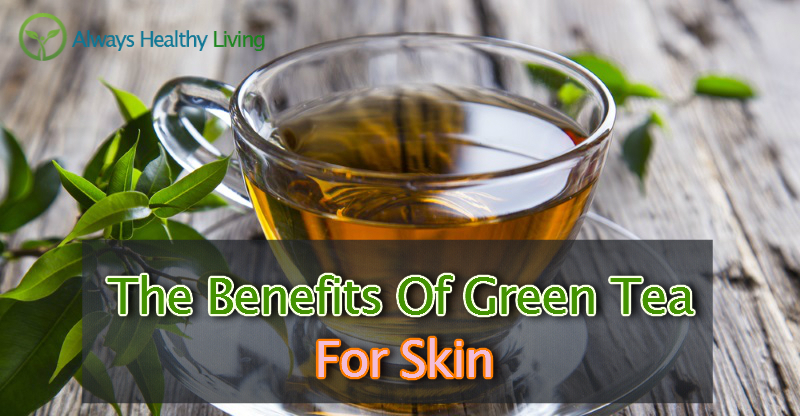 The impressive benefits of green tea for skin are scientifically proven. It protects your skin from free radical damage, slowing the signs of aging and protecting against cancer if you use it regularly. That’s reason enough to consider adding it to your daily skin care regime, but additional benefits have also been studied. It provides relief for a range of skin conditions including acne, rosacea, and psoriasis. Evidence to suggest that it can reverse lines and wrinkles is lacking, but if you have an interest in anti-aging then green tea can be used alongside any of your favorite treatments to increase the natural protection of your skin. 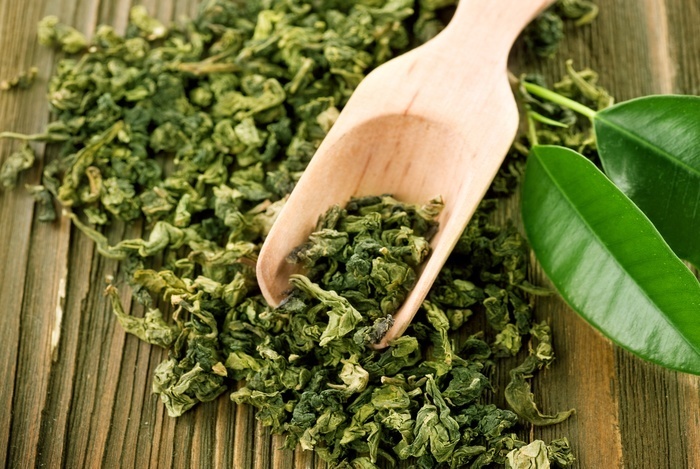 Have you experienced the benefits of green tea for skin? Let us know in the comments.